Legal Creatives will be hosting a live Global Legal Hackathon Pitching Round on March 22, 2018. 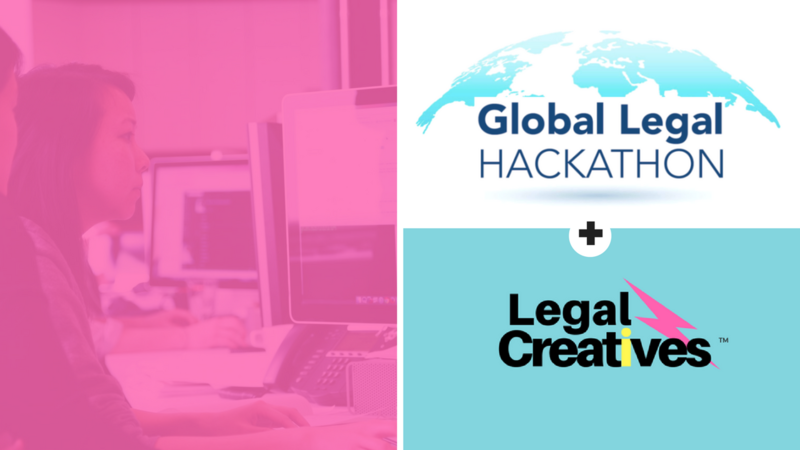 The Global Legal Hackathon is bringing the legal industry together with tech and innovation, in 40+ cities on 6 continents with one purpose: The rapid development of solutions for improving the legal industry worldwide. This partnership holds special meaning, as Legal Creatives empowers all legal communities worldwide to stand out, also through the creative use of technology. We are believers that improving access to justice and enhancing legal experience is at reach, provided all legal communities, worldwide, contribute putting bravery in action. "We believe in the power of community. We believe in insights from face-to-face connections. We believe success comes from the courage of rising up again. We believe in learning, sharing and celebrating together." - Legal Creatives Manifesto. The Global Legal Hackathon is engaging law schools, law firms and in-house departments, legal technology companies, governments, and service providers to the legal industry – across the globe. On March 22nd, we'll be showcasing winners of the second round of the Global Legal Hackathon, considered some of the world's most promising startups and initiatives for the future of the legal industry. If you’re interested in having a sneak peak of the technological solutions under development, make sure to register now. Looking forward to showcasing to you all on March 22nd.